Produktinformationen "The Lao Tzu Code: Key to Ancient Chinese and Greek Natural Life Care and Search for Truth"
Peter Hubral explains the modern Tai Chi-teaching of Dao-grandmaster Fangfu, which goes back to Lao Tzu and the Yellow Emperor. He demonstrates its excellent match with the Greek Pythagorean/Platonic tradition and shows, how it contributes to deepening and expanding the understanding of the modern cognitive and health sciences as well as physical and psychic therapies. He provides with his inedited treatise, based on ancient Chinese wisdom, a solid foundation for the Socrates Code, in which he rigorously revises the careless and ahistorical misreading of Ancient Greek texts. He uses The Lao Tzu Code also to justify The Plato Code, in which he documents the strong impact that this misreading ironically had on the development of the modern western culture. 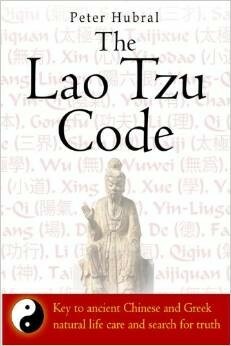 Weiterführende Links zu "The Lao Tzu Code: Key to Ancient Chinese and Greek Natural Life Care and Search for Truth"